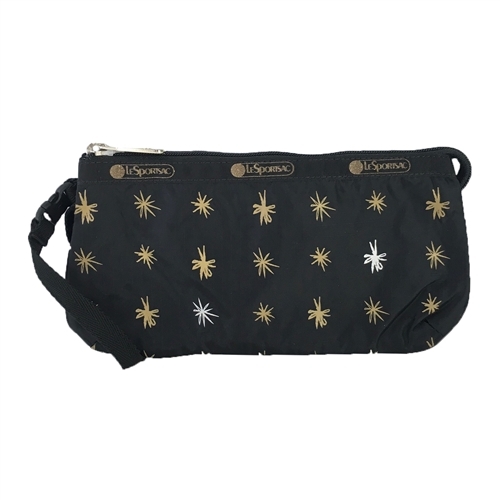 Stash your stuff in this LeSportsac koko wristlet in the metallic starlet print. 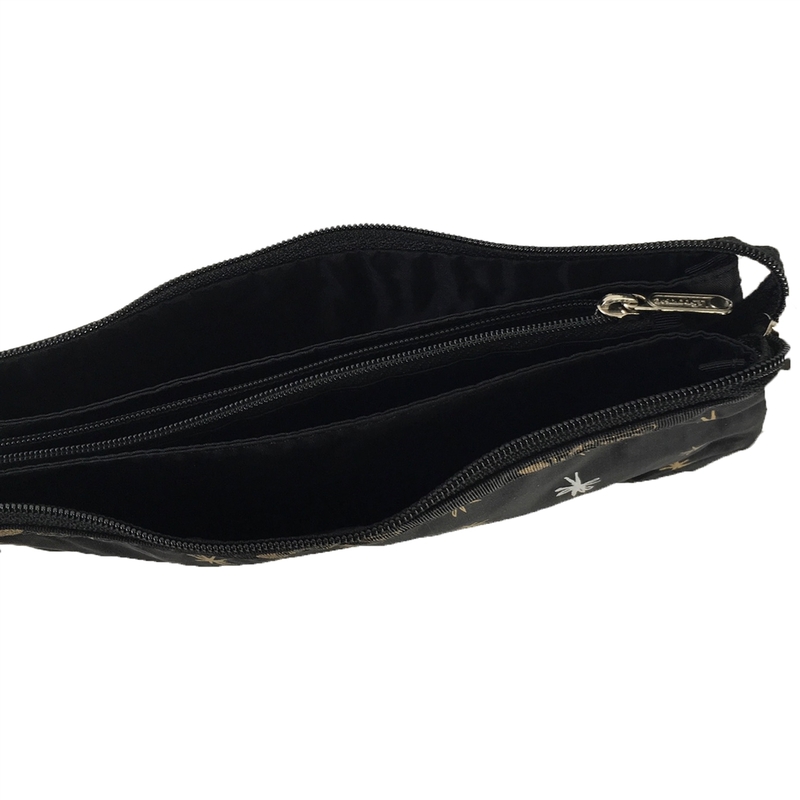 Featuring a 3 compartment interior and quick release strap that can be clipped to a larger bag. Wristlet in printed ripstop nylon trimmed in signature webbing. Print placement unique. Signature hardware. Strap with quick release clip. Top zip closure. 3 compartment interior with center zip pocket.